Re:coded manga to debut this July. 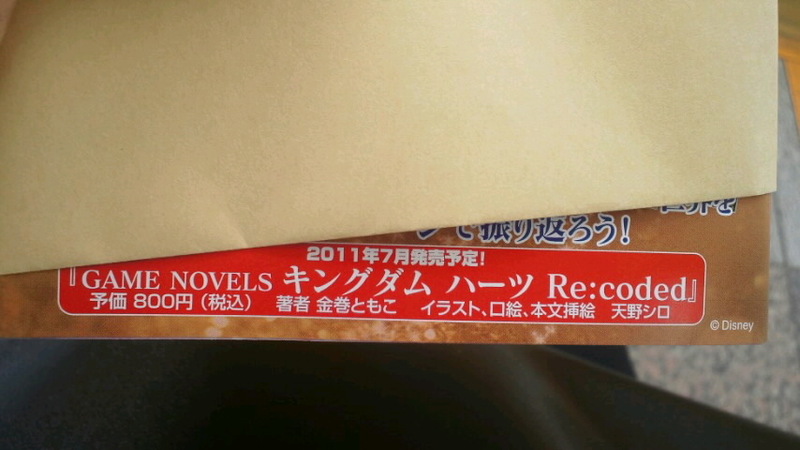 Re: coded manga to debut this July. Hmmmm, the KH2 novels revealed a lot that werent in the game (Xions keyblade, mentions of Dead CO members, Axel infiltrating fake Twilight town), so this might be something to keep an eye out for. Im excited, it may just do the same thing! Nice find! Wow, Kanemaki's putting these things out like crazy! Yes!!! In the Kh2 novels there was a point when axel was infiltrating fake twilight town and it was when he confronted roxas during their final encounter in diz's basement, he says something along the lines of "Where have I seen that before, it looks so familiar..." regarding roxas having two keyblades. Supposedly they threw that line in there to garner attention to 358/2 days since it was released around that time. There are translations on livejournal! More novels, eh. This one I'm kind of curious about since I wanna hear what the novels have to add about the Riku-only Memories inside Sora's journal. Then there's the SoRi and SoNami fanservice.